This giveaway is now closed and we have a winner. 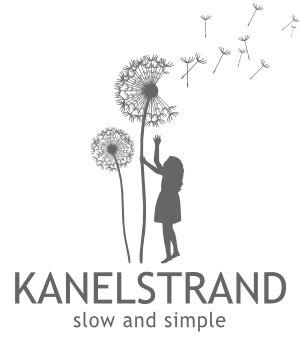 To all of you, who didn't win - don't despair there is another great eco-friendly giveaway going on here! Those of you who have been following me for a while must know my attraction to beautiful bags, and this week's giveaway makes no exception. Please meet Chantal of Chantal Marie Living - born on Guadeloupe, moved to Canada and married in the US, one can tell this lady brings with her the versatility of the world she's seen! But don't think that bags is the only thing Chantal has to offer. She loves working with her hands and creating is her favorite way to relax. In her etsy shop you can see her many passions - from all types of bags to seatbelt covers and picture frames, all executed with perfection. 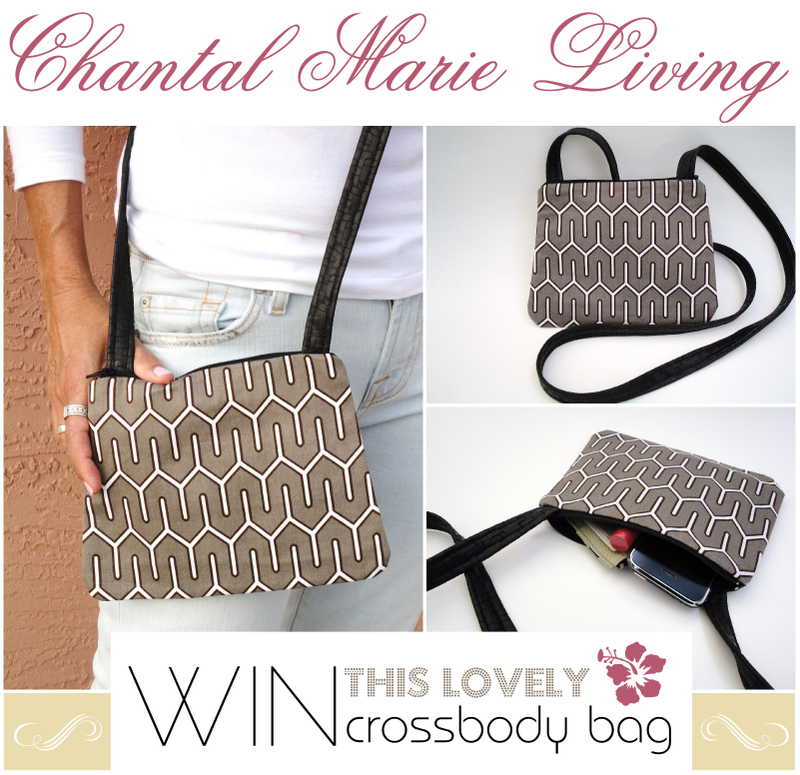 This week, Chantal is giving away a classy $24 crossbody bag to one of you! I love this bag because it is compact but it can carry a lot - perfect to put a wallet, cell phone, and keys when you go out to the market, the park or on a walk. The little inside pocket is large enough for a credit card and a lipgloss. Just throw the strap over your head and go! In bold are the two mandatory entries you have to complete in order to enter this giveaway. If you only complete one of them you will not be eligible to win. To increase your chances of winning, go ahead and complete all of them! I love the Travel Tote Carry-All Canvas Beach Bag - Red Blue and White - it looks like the perfect beach bag and I love the colors! I like the Travel Tote Carry-All Canvas Beach Bag - Turquoise and Brown! My favorite are the cross bags. I love them because they are so convenient. My second favorite is the Seat belt Shoulder Pad Quilted Damask - it's fashionable and yet comfortable. http://www.etsy.com/listing/71857694/throw-pillow-decor-accent-pillow-15-x that's my fav- so darn lovely and fun! love this pillow http://www.etsy.com/listing/64281253/throw-pillow-decorative-accent-pillow for it's colors. love the parrot pattern too. Wine Bag in Red Floral Brocade is my favourite. It's a gorgeous and stylish way to present wine as a gift. My fav item is the Decorative Accent Pillow 12 x 19 (30.5 x 48 cm) Floral Aqua Blue because I like the colour, it is so cute! I like the Travel Tote Carry-All Canvas Beach Bag - Turquoise and Brown because of the colors and the rope handles. My favorite is the Quilted Pink Roses bag. So pretty. I really like the Wine Gift Bags! Especially the one with the blue and red floral brocade! What wonderful comments! and thank you Sonya for a well written blog. Love the Cross Body Bag Small Messenger Bag Small Travel Purse - Hand-dyed Black and Gray Damask. Love the size, colors, pattern - and that it's a cross body bag. Hi I love your decorative pillow covers especially the yellow orange plaid madras. It's beautiful! SOOOO many cute things! i think i like the "Neck Warmer Cowl Neck Tube" best, its really cute! Hello, my favorite is the Mossy Green Crossbody Mini Hipster Bag with Frosted Brown Beads because it most reflects my style. Thanks for a great giveaway! I love this bag: http://www.etsy.com/listing/77069161/handbag-with-bamboo-handles-crean. It's so chic and classy! love the Handbag Purse - Orange Floral Canvas and Bamboo. It's such a beautiful print. Crossbody Bag Sling Bag Small Travel Purse Shoulder Purse Black and Gray. Love all of the patterns of the pillow covers, especially the green ivy one. Classy! So useful and summery. The best prop for vacations! I love the Handbag Purse - Orange Floral Canvas and Bamboo Handles. I love the material and it looks like it would hold my things nicely! I love the Decorative Pillow Cover 18 x 18 Accent Pillow Throw Pillow Designer Fabric Red, Orange, Yellow, Green and Brown. A pair of pillows with this cover would look so good on my sofa. I like the Seat Belt Cover Black and White Paisleys - b/c it is a great idea! My favorite is the Quilted Pink Roses bag. So pretty! !